There’s this certain shirt hanging in my closet that I hate. No, I’m not talking about the type of hatred that is you-hate-it-so-much-you-never-wear-it-so-it-just-hangs-there hatred. I mean, I have tons of clothes in closets, drawers and storage boxes that fall into that category. This is a unique sort of hatred. The dysfunctional relationship that I have with this particular shirt is like no other relationship I have ever had with any other garment… ever. You see… I hate this shirt… and YET I continue to wear it every few weeks or so. Does anyone else have a clothing item like this in their possession? I don’t know what is the matter with me, but I never seem to remember how much I dislike it until it’s too late. I keep thinking that I will like it. Why do I keep thinking that I will like it? I keep giving it one more chance, and one more chance, and one more chance and it keeps right on letting me down… every… single… time. There’s comes a time each evening that I go to my closet and select whatever it is I plan on wearing the following day. Inevitably I will stand there, staring at my clothes and feeling like I “haven’t a thing to wear” like most women do. I flip through the pants and skirts, blouses, cotton tops and sweaters until I find something that will do. 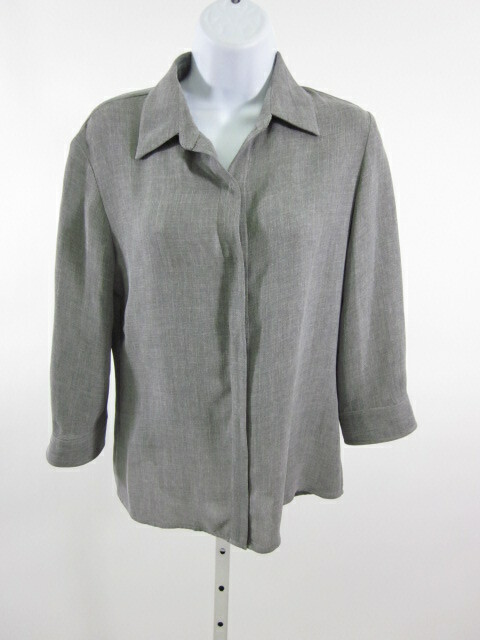 And every so often, I come across this collared, grey, stretch-cotton, button-down, three-quarter-length-sleeve blouse. And it’s almost as if I’ve never seen it before. I pull it off the rack and look it over. It seems fine. It’s really basic and goes with just about anything. The funny thing is… I bought it specifically for a meeting once, and I even hated it on the very first day that I wore it… which, I have to tell you, is highly unusual because you ALWAYS love something the first time you wear it. It’s not until after at least 3 to 4 wearings that it ends up getting shoved further down in the fashion rotation. Holding it in my hand, I realize that if I NEVER wear this shirt… then there has to be a reason. Therefore, I carefully look it over a second time and ask myself the question: WHY do I never wear this blouse? It isn’t stained. It isn’t torn. It isn’t see-through. It isn’t missing any buttons. It isn’t too tight, too short, too long, too low or too revealing. So WHAT the hell is the problem!?!? Then I usually think back to whatever “bottoms” I wore with it on the previous occasion. Ahhh… that must be it, I tell myself. It’s because I didn’t wear the proper pants or skirt in which to compliment the grey shirt. The brick-red skirt was too wrinkled and didn’t create good overall lines. When paired with the darker-grey slacks, I just ended up looking like a giant pidgeon. The shirt’s seams hit me in all the wrong places the time I wore it with the denim trousers. So perhaps if I combine it with something other than the brick red skirt, charcoal slacks OR the denim trousers, it may actually be possible to make the shirt work for me. So I try about the only option I have left available to me… and that is to match it up with a pair of black slacks. WRONG again! Like Harry Potter and his Invisibility Cloak… I have decided that this shirt is my Ugly Cloak. Every time I wear it I feel absolutely hideous. How is it that I can so easily forget just how ugly this shirt makes me look and feel? Sure… there is nothing OUTWARDLY wrong with the item, which must be why I continually pull it off the hanger and choose to drape myself in it for 10+ hours a day! However, it is uncomfortable to wear, and the color makes me look as though I have just contracted the H1N1 virus. It is shapeless and makes ME look like I am shapeless underneath of it. It rides up in the chest, neck and shoulders causing me to constantly TUG at the hem in order to keep it from eventually floating up and completely over my head. Oh yeah… and it wrinkles if you so much as look at it wrong. 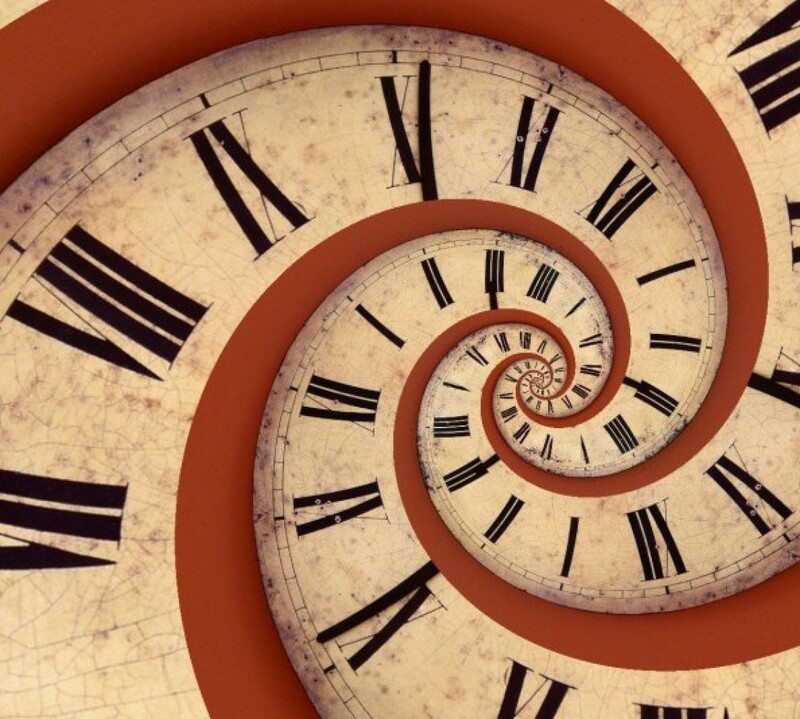 And the only reason I am able to recall all of this information now with such passion and clarity, remembering enough detail to get it all down in writing, is because right now… even as I type this… I am wearing the blasted grey shirt. That’s right folks, I gave The Ugly Cloak yet another chance… and once again… it has deeply disappointed me. Damn Grey Shirt… I swear… you have screwed me over for the last time! I am NEVER, I repeat NEVER wearing you again!!! That is, until three weeks from now… when I find you there, hanging in my closet… looking oh so innocent… and I’ve somehow managed to completely forget ONCE AGAIN how you truly make me feel. This requires an Intervention! I have a key and I will get rid of this shirt for you! Hey, maybe I will like it! That’s hilarious! Take it to the thrift shop. All those other clothes you don’t wear as well. You’ll love the extra space. I have a berry colored cotton shirt that is the same. I can’t bring myself to throw it away yet the stupid tiny little closing, not really buttons, won’t stay shut! I can’t wear that thing around. Well I guess it isn’t the same, I don’t hate it. You need to throw it out so it won’t tempt you anymore. It’s a waste of time. Wait I know. When did you buy this shirt? Are you projecting feelings about a relationship onto the shirt? Dude, I totally hear you. I’ve done this! There are certain pieces (usually shirts) that I really hate wearing, but can’t bring myself to give away… so I just keep wearing them. One day last spring, I finally got assertive and swept through my closet, asking about every single item, “Do I feel good in this?” For those about which I answered, “No,” I pulled them down, put them in a bag and drove it to Goodwill the next day, ensuring I wouldn’t feel guilty and hang all those shirts back up.